Parsnips; they're those weird root vegetables that look like white carrots. I've only tried parsnips a couple times in the past and never thought much of them. 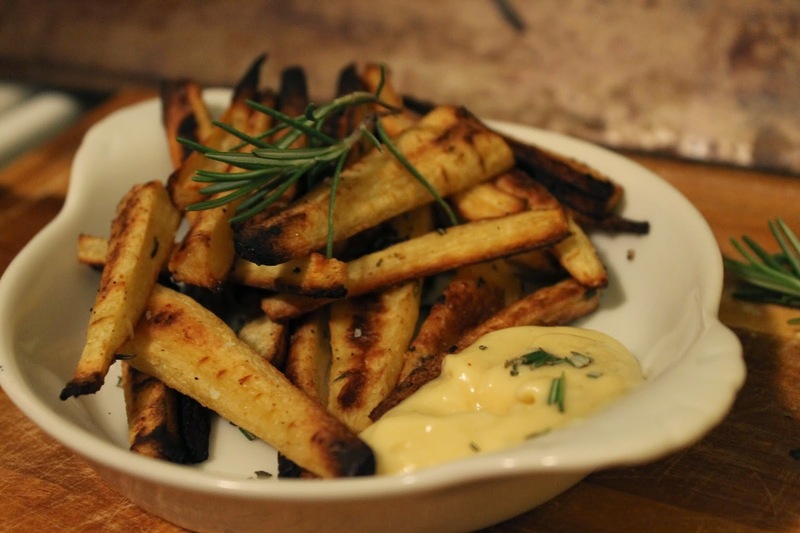 After receiving a bunch of them in my subscription last week I did a little research and found a lot of recipes for parsnip fries. I loveeeee fries so whipping up a recipe of my own was a done deal. If you didn't know, parsnips contain anti-oxidants, anti-cancer, anti-inflammatory, & anti-fungal properties and are also packed full of vitamins, minerals, and contain lots of potassium & fiber. Start by preheating the oven to 450 degrees, then peel the parsnips. Cut the ends off every parsnip and slice them into even pieces. Place the parsnips in a bowl, drizzle with olive oil, and top with salt, garlic powder, & rosemary. Arrange the parsnips on a cookie sheet lined with a silicone baking mat or aluminum foil with a little bit of non-stick cooking spray. Bake for 10-12 minutes then flip fries over and bake for an additional 10 minutes or until golden brown & crispy. As you can see I really enjoy crispy fries. When the ends are blackened the natural sugars emerge and add a sweetness to the fries. I paired these bad boys with a homemade roasted garlic & lemon aioli and went to town! Make sure you keep parsnip stocked in you're fridge because you'll want to make these every night. 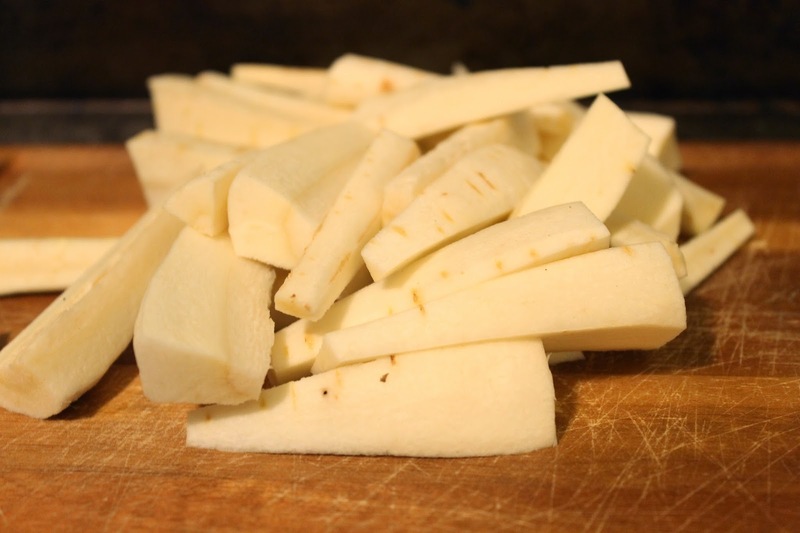 What would you dip your parsnip fries in?